EIA senior campaigners will tomorrow (Tuesday, May 21) be joining a key meeting hosted by HRH The Prince of Wales and Owen Paterson, the Secretary of State for Environment, Food and Rural Affairs. The meeting marks the beginning of a process to secure greater commitment from Heads of State to combat wildlife crime. 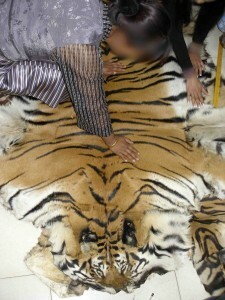 Organised criminal networks have been profiting from the poaching and trafficking of wildlife for decades. As well as threatening species such as tigers, elephants, rhinos and pangolins, this high-profit/low-risk crime is linked to other forms of serious crime and is often characterised by violence, corruption and conflict. 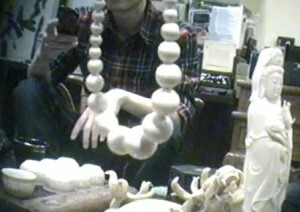 For too long, wildlife trade has been seen by criminals as a soft and easy way to make money. For too long, it has been left to beleaguered forest and wildlife officers to battle on a shoestring. Perhaps the rapid re-emergence of the rhino horn trade and the return to elephant massacres in Africa have sharpened the focus of world leaders, but we are now seeing a welcome spate of high level interest in combating wildlife crime. In 2012, former US Secretary of State Hillary Clinton launched an initiative to raise the profile of wildlife crime at the highest political levels. In April 2013, the UN Commission on Crime Prevention and Criminal Justice (CCPCJ) adopted a resolution drafted by the USA and Peru which called for improved legislation and enforcement mechanisms to combat wildlife crime, including greater inter-agency cooperation at national and international levels. Does this week’s conference finally signal a sustained sea change in future leadership on this issue? With interest from Heads of State, EIA hopes we will finally see the political and financial commitment and investment required to task top police and customs investigators, analysts and prosecutors to spearhead the fight against wildlife crime. Changing consumer behaviour requires complementary government policies too; we can stop stimulating demand by ending parallel legal markets for ivory or farmed tiger skins which confuse consumers and undermine law enforcement. Strong messages from the highest levels of government saying “NO” to trade in ivory, tiger parts, rhino horn, pangolins and other species in high demand is a good place to start. For the recent CCPCJ meeting, we put together this short film, on behalf of EIA, WWF and TRAFFIC, as a reminder of what is at stake and what urgent action we need to see. .You can also read our briefing to the CCPCJ here.